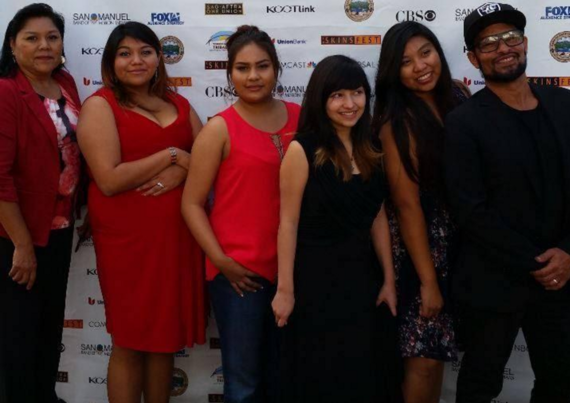 Best Student Film Award winners at 2015 LA SKINS FEST. Left to right: Ute Mountain Ute Councilwoman Deanne House, film students: Tayanita Hatch, Destiny Whitman, Kamea Clark, Leslie Lang, and “Films By Youth Inside” Founder and Creative Director, Alex Munoz. “OMG! We won Best Student Film‬‬‬‬ at the LA SKINS FEST!” was the enthusiastic reaction from Beverly Santicola. Beverly is a co-executive producer of the film, “Escape,” the first film ever produced by the Ute Mountain Ute Tribe (UMUT) Youth. The UMUT Youth wrote, performed, directed and produced the film in partnership with Alex Munoz, founder and creative director of Films by Youth Inside (FYI). The film first premiered in Cortez and Durango, Colorado in October, and was selected to screen at the 2015 LA SKINS FEST in Los Angeles – the biggest Native American film festival in the United States. “Escape”, is a powerful fictional short film that draws the viewer into the struggles and suffering of Native American youth by portraying issues such as overwhelming poverty, epidemic suicide, drug use, low educational attainment and homophobia. Little of this reality is normally depicted in the media. The film “Escape” is the first in a series to be produced as part of this partnership. It tells the story of two teenagers, Rachel and Adam, played by Kamea Clark and Wendell Mills, Jr., who plan to escape their troubled lives through a joint suicide. Poverty, drugs and alcohol, homophobia, bullying and not knowing where to find help all contribute to the hopelessness of these two young people. The issues depicted in the film are affecting not only the UMUT, but also many of the 566 nationally recognized tribes throughout the United States. These issues have been long ignored by previous administrations. Fortunately, President Obama has shown a greater commitment to addressing this national crisis. In fact, as a result of the federal government’s commitment and the momentum created at the Ute Mountain National Partnership Retreat to find solutions to these issues, the UMUT was selected by the Bureau of Indian Affairs as one of four tribes to participate in the Tiwahe Initiative. This five year initiative provides funding and administrative resources to these four tribes to develop better coordinated services centered on the needs of their families and communities. The name “Tiwahe”, which means “family” in the Lakota language, was chosen to inspire better collaboration within these communities so that families live healthier and happier lives. Tiwahe, successfully implemented, will help save young people such as Rachel and Adam, who have lost all hope, by providing the care and services they need. Offering tribal youths the opportunity to tell their stories, such as the story in the film “Escape”, is an integral part of the UMUT Tiwahe Intiative to help their tribal community heal, become resilient and prosper. 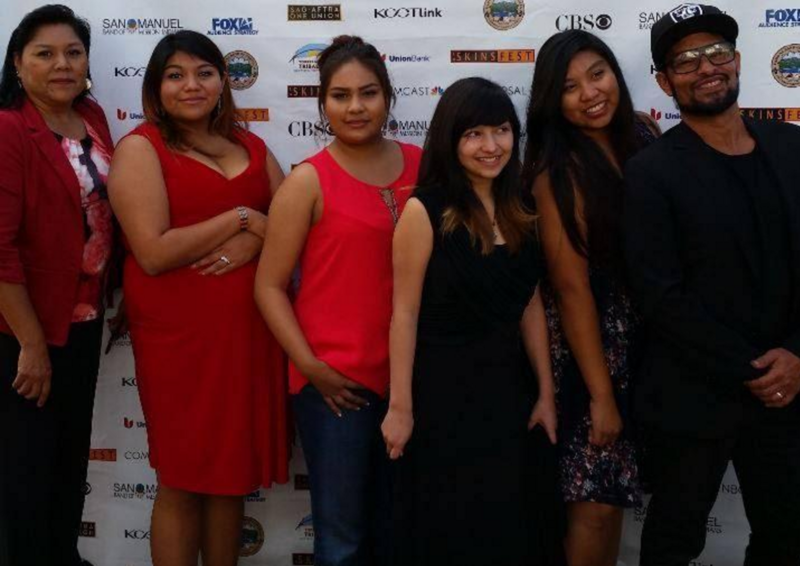 The success of the UMUT- FYI film collaboration with its first film, “Escape”, should serve as an example for other Native American youth initiatives around the country. Allowing tribal youth to share their stories through film making and other art forms helps them to heal and even transform their lives. “Escape” can be viewed online at https://vimeo.com/141806754.